Guillermo del Toro's Pacific Rim came out this week. It's got the giant robots Austin loves and the pretentious arty director I love. Instead of publishing two separate reviews, we've decided to do a DUELING REVIEW. Warning: spoilers aplenty. AUSTIN: They did it. It's hard to believe, I know. Pacific Rim lived up to the hype. The hype bar was set pretty high; I avoided all but the first trailer since they've become "the entire movie in two and a half minutes." Go see Pacific Rim, preferably in IMAX 3D. JAKE: I thought Pacific Rim was an enjoyable, predictable sci-fi romp with some fantastic mecha art design. AUSTIN: In case you somehow missed it, I'm pretty into giant robots. I could write a whole blog post dedicated to identifying all the things Pacific Rim reverently drew from. However, Pacific Rim is still its own movie. They're less "hey here's that thing" references and more acknowledgement of the history of giant robot/kaiju media. It's a film that's greater than the sum of its parts. It's polished and executed superbly. It's not just a movie for people like me, but a movie for everyone. 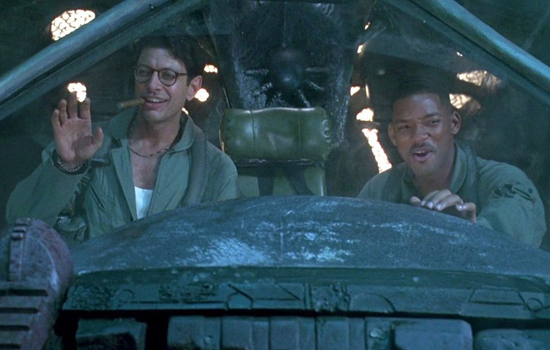 JAKE: Despite all its Japanese influence, the movie I thought of most while watching Pacific Rim was Will Smith and Jeff Goldblum's classic 1996 action flick Independence Day. Both films deal with a plucky cast of people from varying degrees of military background fending off an alien invasion. It may be the sentimental value--I was in elementary school when Independence Day came out--but I see Independence Day as the quintessential summer blockbuster alien invasion movie. My only major issue with the film is its über-jingoistic, patriotic message. Pacific Rim, thankfully, has a much more international approach. Its characters are from all over the world, and the kaiju invasion is presented as a global conflict, not simply an "America saves the planet" scenario like Independence Day does. AUSTIN: You can't do giant robots and not give off Mazinger vibes. Right out the gate I had to restrain myself from yelling "pilder on" when Gipsy Danger's head was dropped onto its body. 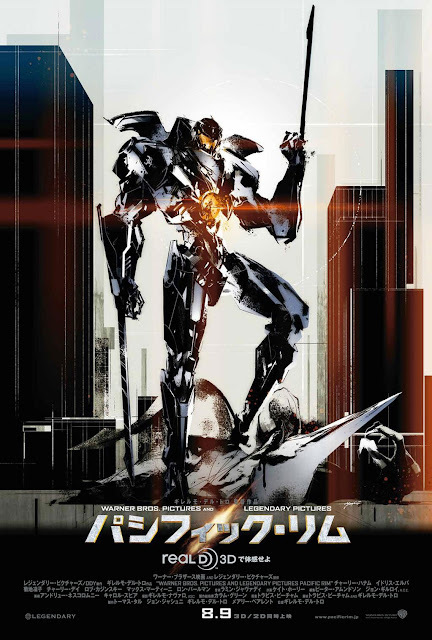 There comes a point in the film where the fact that Gipsy Danger is the only remaining Jaeger with a nuclear reactor becomes a plot point, something that happens in Giant Robo. But most of all, Getter Robo is all up in Pacific Rim's DNA. The collection of Jaegers from around the world was akin to the alliance in Getter Robo Go. The invading army attacking through a portal in the ocean also happens in Getter Robo Arc. Stacker Pentecost's evolution from pilot to marshall is reminiscent of Hayato Jin's character arc. Later when he sorties with the younger Australian pilot, it's close to Ryoma launching in Shin Getter with Go. The thing that stuck out most to me was how taxing piloting a Jaeger is on the body, a big sticking point of Getter Robo. Do I think Pacific Rim ripped off Getter Robo? Hell no. 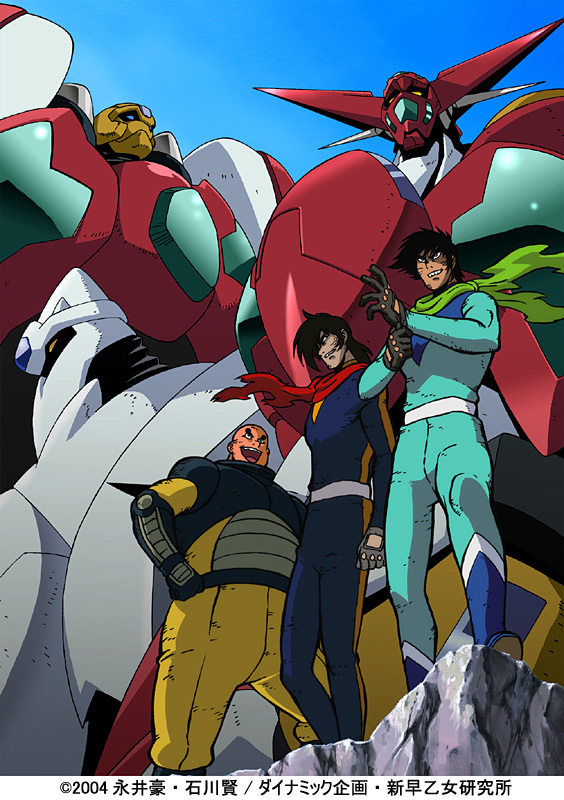 Are Pacific Rim and Getter Robo awesome? Hell yeah. JAKE: With Japan being the birthplace of both giant robots and giant monsters, Pacific Rim's critical and commercial success in Japan is seen by fans as a litmus test of its legitimacy as a mecha/kaiju film. This was clearly on the mind of director Guillermo del Toro, who smartly cast Japanese actress Rinko Kikuchi as the female lead, Mako Mori. She's essentially the only woman in the entire sausagefest of a movie (there's one other female pilot, but she has only a couple lines). Mori is such a compelling character that I wish she had been the film's protagonist. Why couldn't Mako Mori have been the main character? AUSTIN: There should have been more women, I agree, though the few women who are there are characters on their own. They are just characters, not stereotyped FEMALE characters. The way the relationship between Mori and the male lead, Raleigh, played out though was well done. It never drifted (pun intended?) into a bad romance and was a believable relationship between two people... or as believable as it could be, considering they had the ability to enter each other's minds. JAKE: While Mori begins the movie as an authority-questioning, independent woman, it bummed me out that she finishes the movie deferring to her male co-pilot and becoming a damsel in distress for him to save. AUSTIN: I didn't see that as being a "weak female" as much as respecting Raleigh's veteran status. I saw it as her become tempered. Look bruh, ALL the Jaeger pilots took a ton of damage, and even Raleigh was barely moving by the end. I think Mori was a strong character. JAKE: Despite Pacific Rim's international appeal, the protagonist is a predictably blonde-haired, blue-eyed white American male. And Raleigh is by far the least interesting character in the film. At least Independence Day had Will Smith! AUSTIN: I was very fond of Raleigh. I'd say he surrenders the focus for about the middle third of the movie. He's quickly established, though--we see his motivations and his weaknesses. 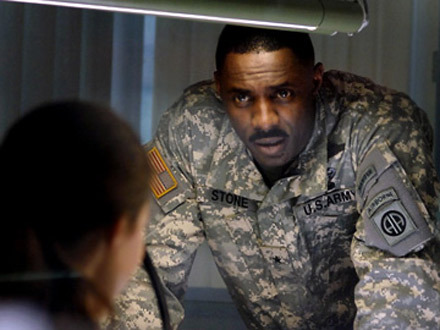 JAKE: Earlier, you mentioned the impeccably-named Stacker Pentecost, played by veteran British actor Idris Elba. I was worried his character would fall back into the "static, gruff black commanding officer" stereotype seen in way too many sci-fi movies, including ones portrayed by Elba himself. And while he certainly plays into that trope in Pacific Rim, he develops as a more complex character as the film progresses. And at least they let Elba keep his native English accent instead of forcing him to fake an American one like usual. Pacific Rim's comic relief comes from It's Always Sunny in Philadelphia's Charlie Day. His quirky scientist character reminds me of Jeff Goldblum's role in Independence Day, and humanizes the story in a way the other characters can't. But humanizing the story is something Pacific Rim has a hard time with. 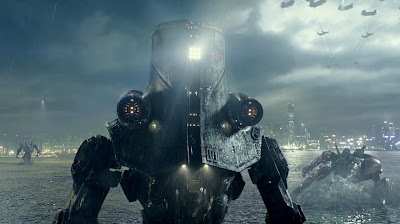 While Independence Day featured multiple civilian characters to show the alien invasion's effect on the general populace, Pacific Rim focuses almost entirely on the military folk fighting the evil kaiju. We hear about San Francisco and Manila being blown up, but we never see any scenes of regular people dealing with the ensuing physical and emotional trauma. The movie is basically mechs vs. kaiju, with the destruction of major world cities as simple background scenery. AUSTIN: We see enough everyday folk to establish an understanding of the setting: Raleigh working on the wall, the various news broadcasts (Eureka Striker being pulled/riots), and Charlie Day's character, as you pointed out. It was important to humanize the pilots and the countless crew that helped them. For the most part it was a group of heroic individuals out to help their fellow man. They mentioned at the beginning the rockstar status, but only the young Aussie really came off as a jerk--something he eventually overcame. JAKE: As many people have written about already (and you can write about with more authority), Pacific Rim features jaw-dropping mechanical designs. Cherno Alpha looks very Russian. It evoked a sturdy Russian-built machine that might not be pretty but gets the job done. Numerous turbines, weird coolant things, the nuclear stack, and unique torso proportions make it a sight to behold. It was a hefty beast that cared not and just punched the crap out of monsters. Not with just any type of punch, but a shell-powered piston punch. That attack, coupled with the helmets and suits that the Russian pilots wore made me so happy. 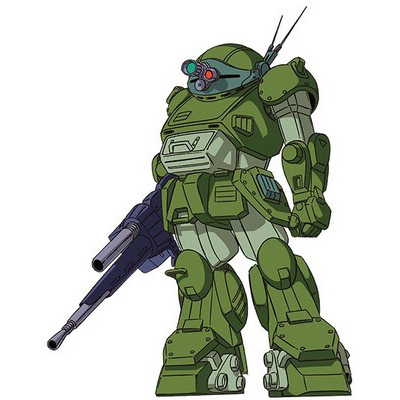 It got me thinking Armored Trooper Votoms. Cherno didn't get enough love. JAKE: I agree pretty much entirely with your assessment. The retro look with limited visibility (for both the mech and the pilots) made Cherno Alpha my favorite Jaeger in the movie by far. AUSTIN: China's Crimson Typhoon had so much potential. Unfortunately it got as little, if not less, time than Cherno Alpha to shine. Triple arms and reverse-joint legs are neat design choices. Arm asymmetry carries over to shoulder conrstuction resulting in the shoulder with a single arm to get a big ol pauldron. Asymmetrical shoulders are easily one my favorite gimmicks ever. A mono-eye in the presence of this asymmetry brings one machine to mind. The water obscures the legs for the most part, unfortunately. 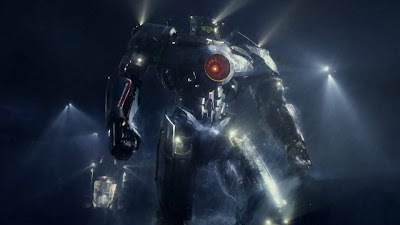 Despite its unique design choices, it's still my least favorite of the four main Jaegers we see in the movie. Being least favorite amongst a group of beautiful machines doesn't mean it's bad by any margin either. 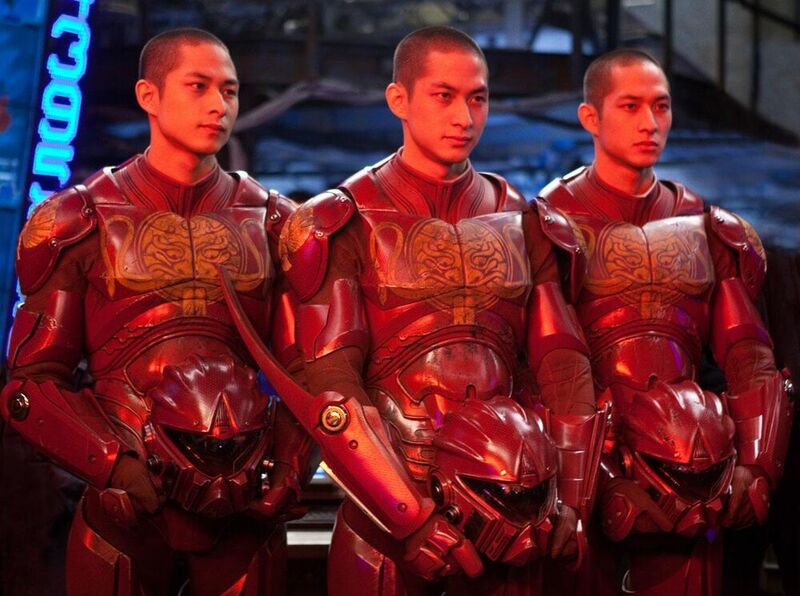 Pilot-wise, the three Chinese pilot suits give the Russian troopers a run for their money. However, an aloof air added to the Russian pilots' mystique, while the lack of screentime hurt the Chinese triplets as characters. JAKE: This was my second-favorite design in the movie, but like you said, it didn't even get enough screen time for me to have a full opinion on it. AUSTIN: As the most modern Jaeger, Australia's Striker Eureka looks the part. The blend of sleek curves and angles gives it a distinctly futuristic vibe. In case it didn't look fast enough already, back fins were added. Even the way it's equipped with blades on the forearm further gets the message across that Striker is the latest and greatest Kaiju killer. A lack of chances to go all-out in the movie hinder Striker. Regardless, my favorite scene of this robot is when it begins running towards a Kaiju and its speed of movement is on full display. 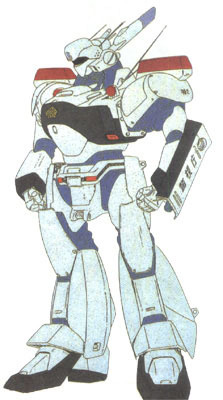 Guillermo del Toro sites Patlabor as a major influence, which leads me to see some of the Ingram in Striker Eureka. JAKE: The scene where we see the hulking Striker Eureka run like an Olympic sprinter was definitely my favorite with this particular mech. 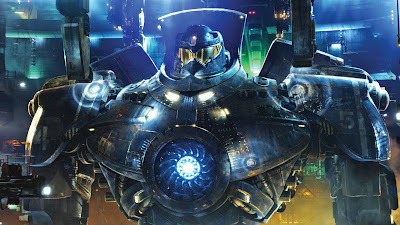 AUSTIN: Gipsy Danger is the hero of Pacific Rim. The entirety of the film hinged on Gipsy and whether or not America's out-of-date machine could carry the weight. I'm not talking about just the plot here. Visually, the movie is built on Gipsy Danger, since it's the focus of nearly all the fights. Being the hero means that viewers need to be in its corner. To that extent, Gipsy Danger is the most traditionally human-looking and simple out of all the four primary robots. Relying on a strictly human design runs the risk of making a bland creation. That bullet is dodged thanks to some strong visual cues. Most important of these is a giant glowing turbine which is the first thing you see and is central to the aesthetic of the Jaeger. It allows the viewer to literally see Gipsy Danger's power, which it oozes to the point of pulling off a goddamn breast fire. 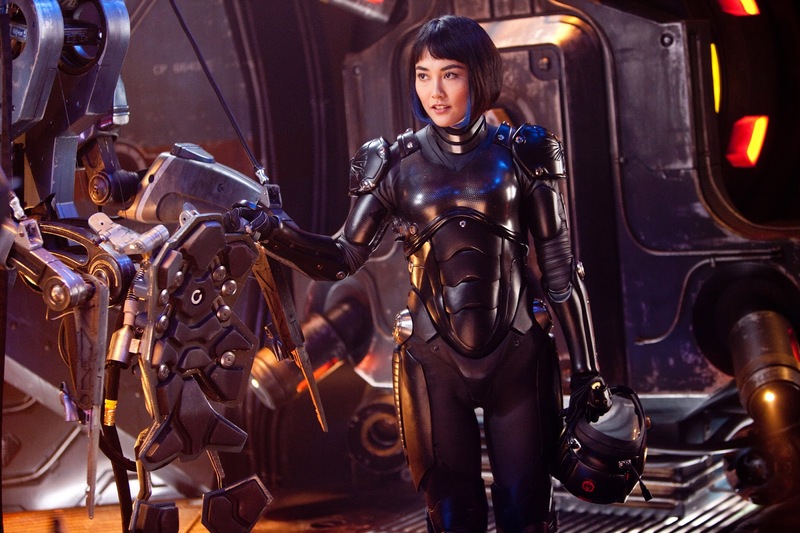 There is symbolism at work here tied into Pacific Rim's themes of bonds and the human spirit. While maintaining a simple frame and overall design, Gipsy Danger has a lot going on, especially in terms of attacks. Dual plasma cannons in the hand evoke gunslingers of the Old West. When taking this in conjunction with the lumbering gait of Gipsy it becomes quite clear that this is an American cowboy of a machine. Look, you can't have giant robots fight giant monsters and not have a rocket punch; pretty sure that's in the UN charter. To dispel any doubt as to who the main attraction is, Gipsy busts out a nice rendition of the rocket punch. There's also a surprise weapon I won't spoil for you. One criticism about the design is the headboard. I understand the importance of the headboard and back shoulder pads since it gives the impression of a linebacker. At the end of the day the result is decent I just wish they could've done it a different way. JAKE: I'm surprised you didn't mention this, since you're the mecha expert here, but Gipsy Danger's 'MERICA design made me think immediately of the Maxter Gundam. I thought the football player aesthetic was incredibly cheesy. Definitely not my favorite. WHY DIDN'T THE JAEGERS KICK ANYONE? For all the robo-punching going on, I didn't spot a single kick. 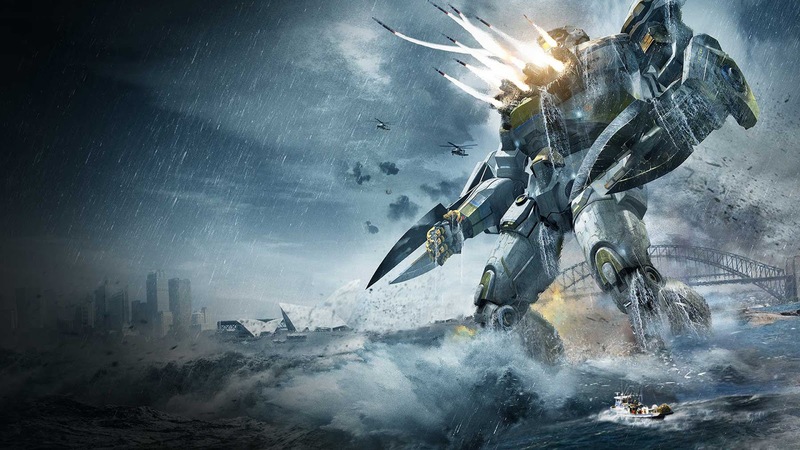 What's the point of a mech shaped like a human if it's not going to kick anyone?! AUSTIN: You're completely right. Diving kicks are some of my favorite super robot attacks. JAKE: I knew it would never happen because the movie wants to turn a profit, but I would've loved it if the Jaeger/kaiju scenes had been guys in classic rubber suits. With 2013 levels of detail and technology on the costumes, they could've been awesome. AUSTIN: The movie was visually stunning, but yes, practical effects were sorely missed. They could even digitally enhance the suits. Just get some dudes from Toei or Toho and tell them budget isn't an issue. We would've gotten some great things. 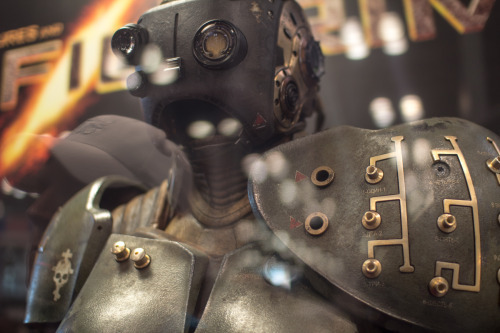 Maybe I misread, but del Toro wanted all the designs to be able to be turned into rubber suits in theory. Unlike another certain summer movie about a man of steel, Pacific Rim portrays the Jaeger pilots as heroic individuals. Raleigh and his brother, Gipsy Danger's original pilots, ignore an order so they can save a small fishing boat. A big war with big consequences and lots of collateral damage is being waged, yet that doesn't stop the heroes from being heroic. As an audience we aren't simply told that these are good people that care about other; we're shown it. JAKE: It's a bummer, then, that the kaiju designs are much less interesting than the Jaegers. And even if they were great, much of the detail in both the mechs and the kaiju is lost in the action scenes, the vast majority of which happen at night in the rain or underwater. 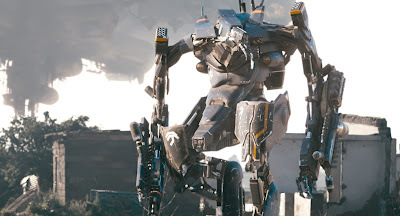 Neill Blomkamp's District 9 is such a visually-striking sci-fi movie because most of it happens in broad daylight, so viewers can truly appreciate the designs. I wish Pacific Rim had a few more scenes in the sun so we could bask in the glow of the film's art direction. And of course Blomkamp's next broad-daylight sci-fi flick, Elysium, has its trailer playing before Pacific Rim at most theaters today. AUSTIN: Some day scenes would have been nice. Day fights with a greater variety of Jaegers. There was enough detail, though, and I'd say the rain and stormy water helped establish the mood. In a movie predicated on giant robot vs. giant monster combat the fight scenes are important, so outstanding choreography and plotting are a huge factors in the success of this film's fights. 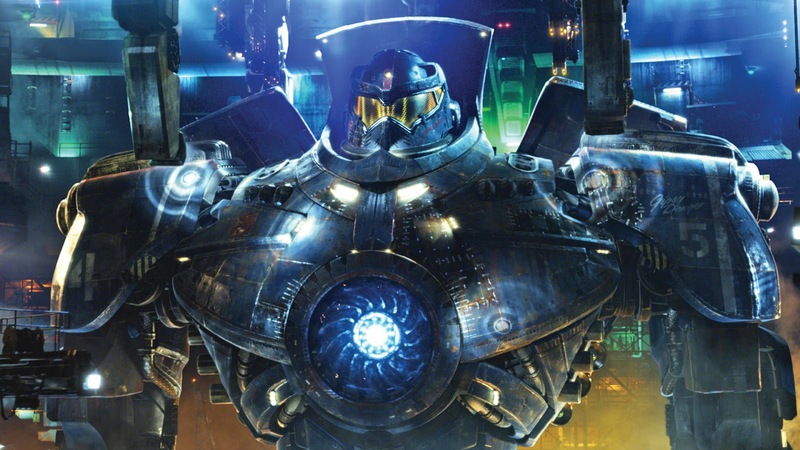 There's a true sense of weight behind each blow and movement in Pacific Rim. The battle of Hong Kong was without a doubt the pinnacle of the action. There is something I've yet to talk about yet, and it will only be in passing because not much needs to be said (also so it's not spoiled) Dat ship. I'll easily be rewatching at least that Hong Kong scene for years and years to come. There's also a particularly cool visual near the end of the film when a blast displaces a huge amount of ocean water. The sight of the water being pushed away, then a dry seabed, and then the water rushing back in is mindblowing. JAKE: I totally agree. The water displacement and "wielding a giant cargo ship as a melee weapon" scenes were two of my favorite action sequences in the movie. 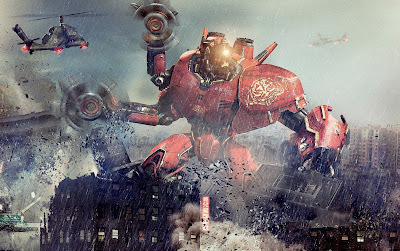 I wonder how much collateral damage was done by the giant battles in Pacific Rim. Seeing all those dead fish hit the waterless ocean floor was pretty mind-blowing. Another aspect District 9 nailed that Pacific Rim doesn't even attempt is any sort of deeper meaning. 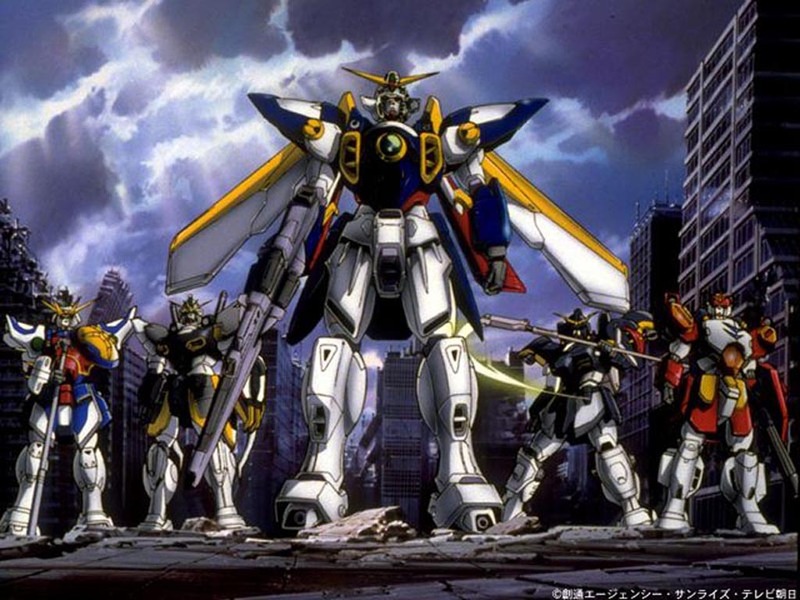 And that's perfectly fine: I love watching giant robots punch giant monsters. But the science fiction movies with the most staying power, years after their special effects become outdated, are the ones with something deeper to say. From District 9 to Blade Runner to the original monster-from-the-sea kaiju movie Godzilla, sci-fi films with something to say are the ones we remember best. Pacific Rim is a great summer popcorn flick, but I wonder if people will be watching it a decade from now. AUSTIN: The movie was all about the bonds between us. No one was able to survive without someone they cared for. Being alone would literally kill you. It might be cliché, but in the grimdark edgy era that we live in it's nice to see a few heroes.